Thank you for your interest in Corrigan’s Mayfair! 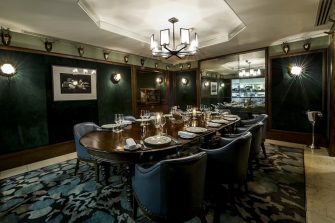 Discreet, inviting, exclusive and renowned for good food, the private dining rooms at Corrigan’s of Mayfair exude a distinct charm of genuine hospitality coupled with first class service and superb cooking. Chef Alan Barrins will gladly create a specific menu for your occasion, or you can select from our private dining menus. 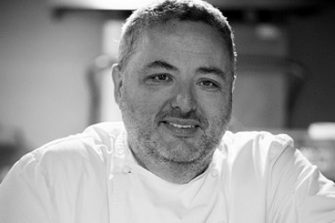 Like Richard Corrigan his approach is heavily influenced by the seasons and working with first-rate ingredients. Dishes might include the likes of Cornish Crab Cocktail and Melba Toast, Pan-Roasted John Dory with a Salad of Raw Artichoke, Apple and Hazelnuts, or Line-Caught Sea Bass with Cauliflower Cous-Cous and Curry Oil. Desserts might be Lime Soufflé, Mascarpone Ice-Cream or an exquisite Crème Caramel. The Chef’s Table seats from eight to 12 people and has a full view of the kitchen through a glass panel. Warm and club-like, this room allows you to see the action but at the same time be somewhat removed from it. The Lindsay Room (so called after Richard Corrigan’s previous restaurant of the same name in Soho) can seat 30 at one oval table. Richard’s own collection of artwork adorns the walls. The Kitchen Library seats two to six people and is right next to the pass, the area in the kitchen where dishes are handed over to the waiting staff en route to the dining room so there is plenty of action to watch as you dine. Part of Richard Corrigan’s extensive library of cookery books shows a wide and eclectic interest in food. This is a warm and intimate space and its proximity to the action of the kitchen makes it very unique. The Poet’s Corner is set in an inspiring corner of the main restaurant overlooking the drama and excitement of one of London’s finest restaurants. The Poet’s Corner seats up to 10 people and is screened off from the main restaurant by a curtain allowing you and your guests to sit back and enjoy the privacy of your own space amidst the buzzing atmosphere of the main restaurant. The surrounding walls are adorned with old Irish poetry, making it a truly unique space, perfect for an inspirational lunch meeting or celebratory dinner. All private bookings are offered complimentary canapes on arrival. This week we’ve been speaking with Richard Corrigan at Corrigan’s Restaurant, Mayfair..